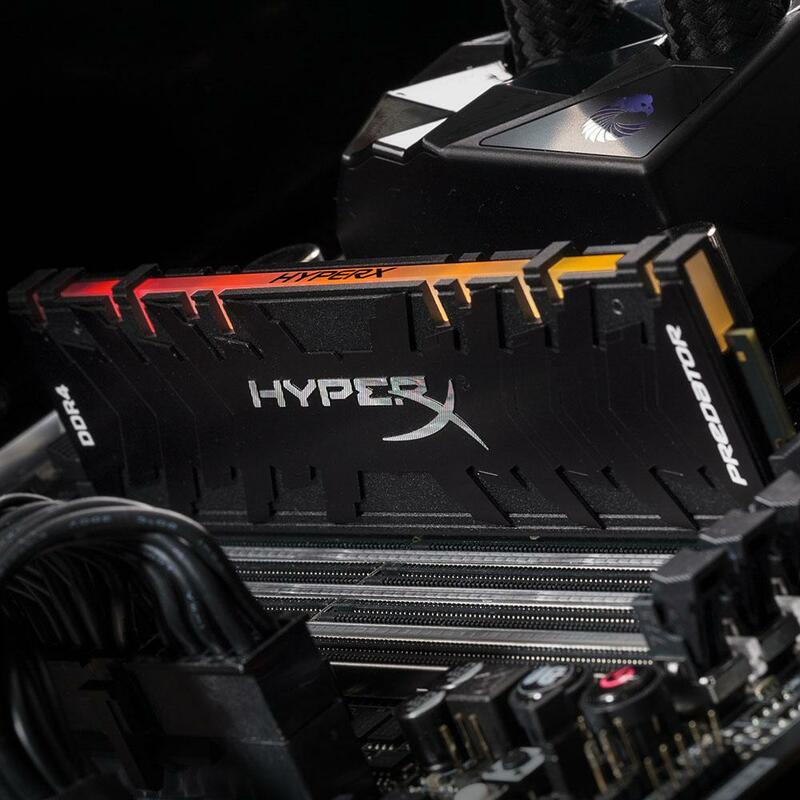 Give your system brilliant RGB style and the performance needed to stay atop the food chain with ultra-fast HyperX Predator DDR4 RGB¹. Easily set up² and show off your unique look thanks to HyperX’s Infrared Sync technology, no cables required. 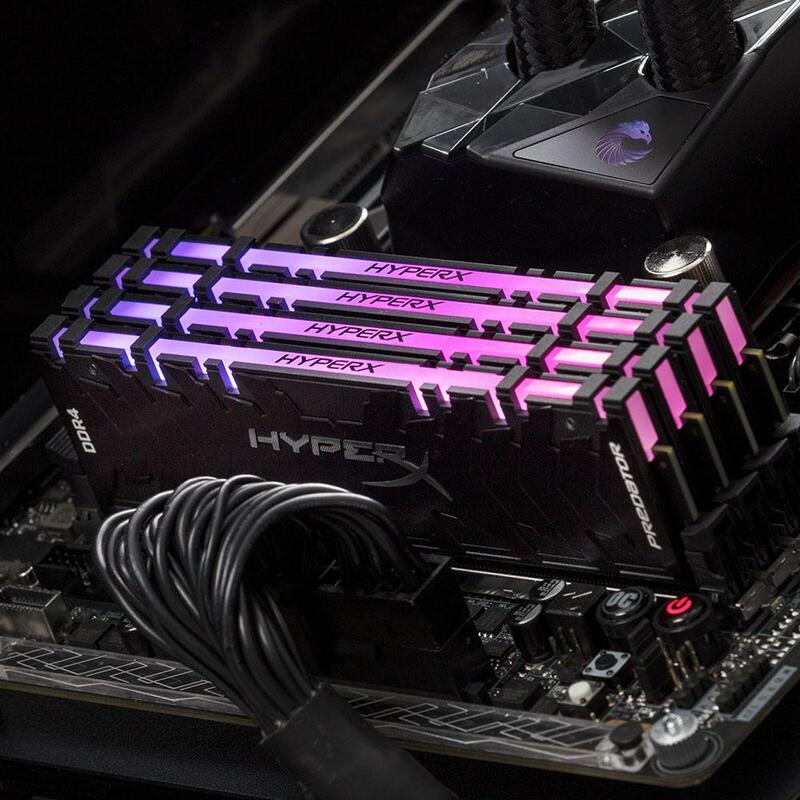 Predator DDR4 RGB stays cool while looking great, thanks to the aggressive black heat spreader designed to complement its dazzling light display. Boost your frame rate, keep your streams smooth, and power through your highlight reel rendering with speeds up to 4000MHz and low CL15-CL19 latency. It’s available in 8GB single modules and kits of 2 and 4 with capacities of 16GB–32GB. The Intel XMP-ready and certified profiles are optimized for Intel’s latest chipsets and are compatible with many of AMD’s latest chipsets – just select the profile and you’re ready to go. 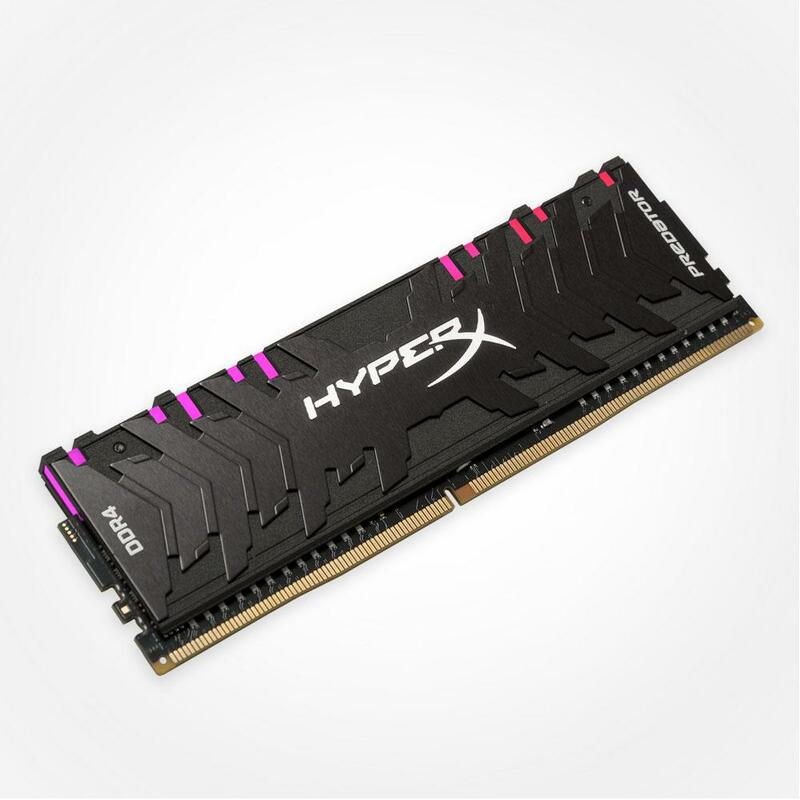 100-percent factory tested at speed, and backed by a lifetime warranty, dependable Predator DDR4 RGB gives you the best of both worlds: extreme performance and maximum peace of mind. 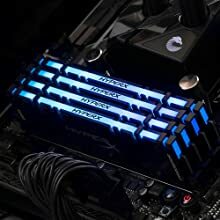 Dynamic RGB effects- Give your system a boost of power and stunning RGB style. 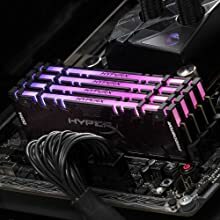 HyperX Infrared Sync technology- Easily set up lighting or pattern effects on your memory modules. 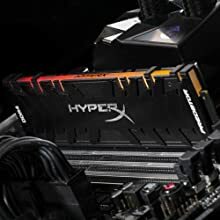 Aggressive aluminum heat spreader- Fierce black heat spreader designed to complement any build. 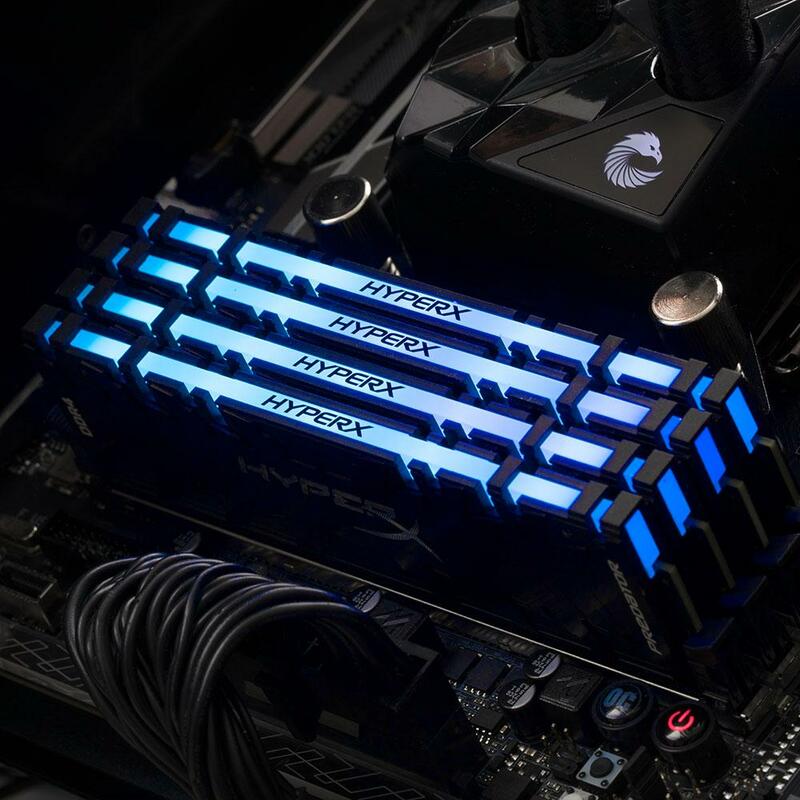 Trusted Performance- High speed, low latency DDR4 from a leader in PC gaming. 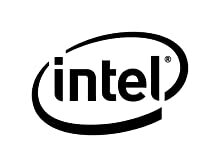 Intel XMP-ready profiles optimized for Intel’s latest platforms. 2. Lighting customizable with motherboard RGB control software. RGB customization support through third party software may vary.